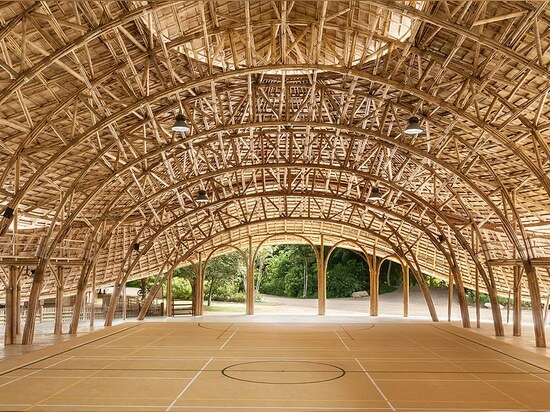 this sports hall for a school in thailand utilizes prefabricated bamboo trusses to span more than 17 meters without steel reinforcements or connections. 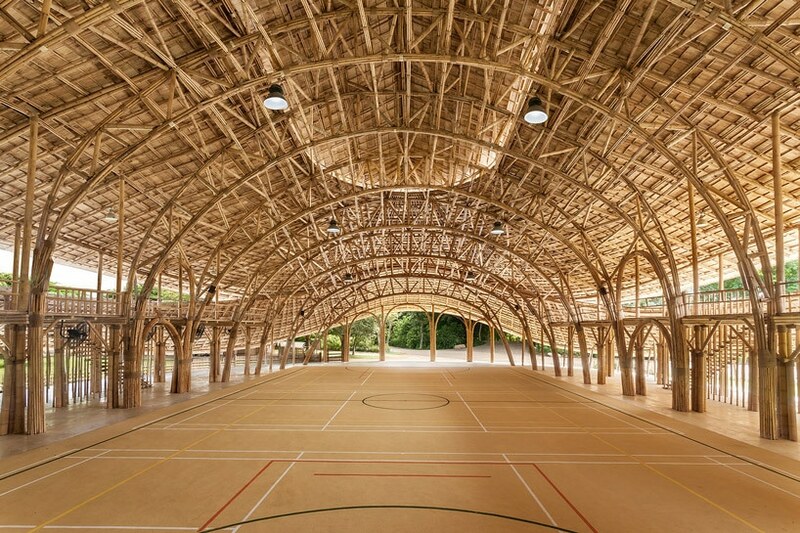 this sports hall for a school in thailand utilizes prefabricated bamboo trusses to span more than 17 meters without steel reinforcements or connections. 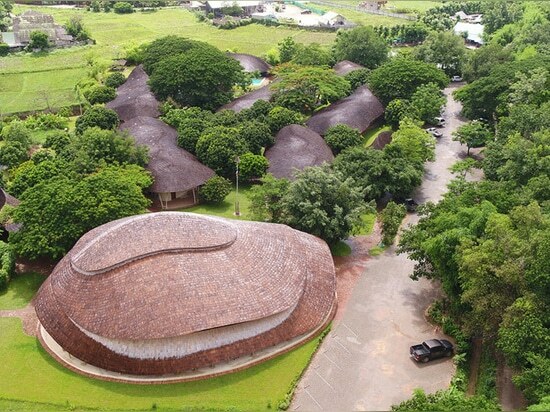 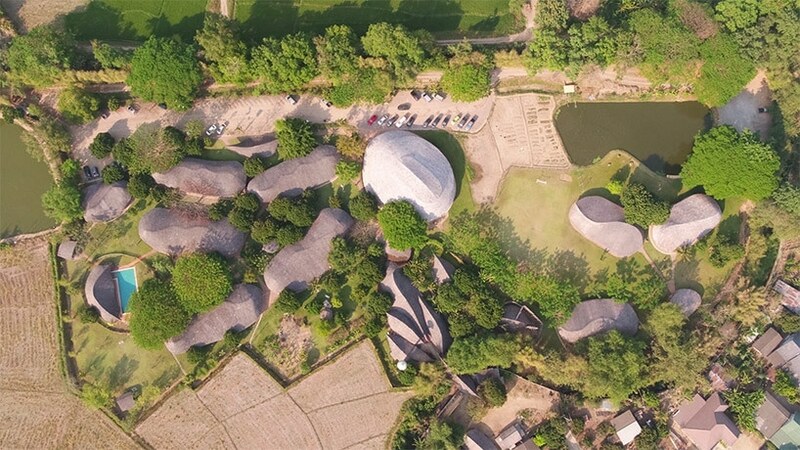 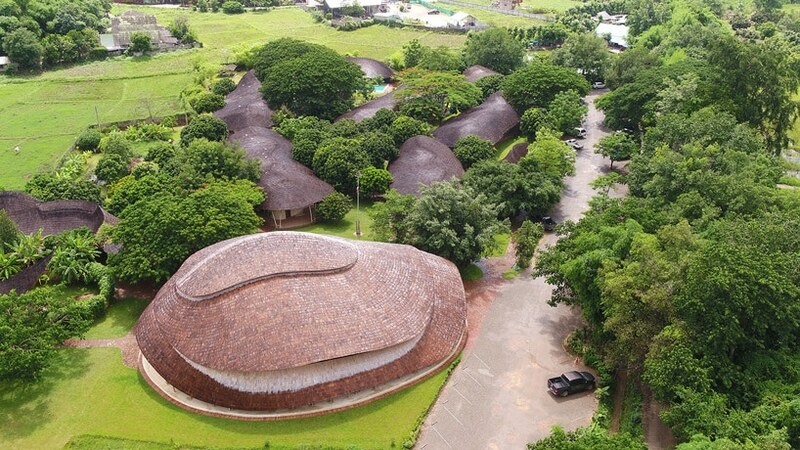 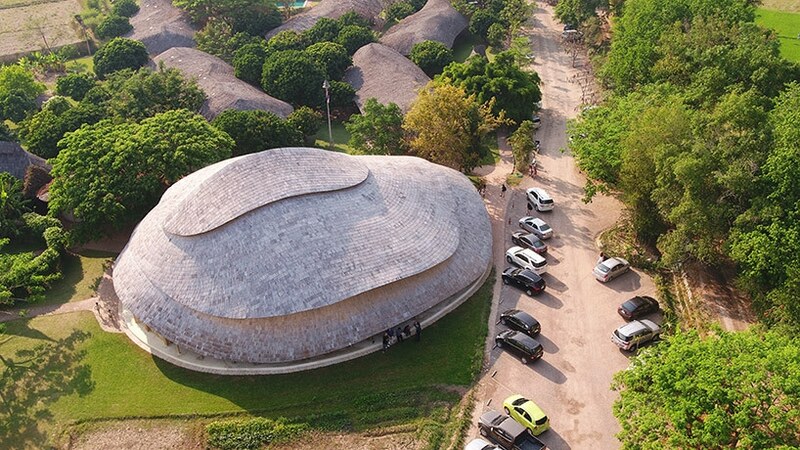 commissioned by the panyaden international school, an international and bilingual institution located in the country’s chiang mai province, the project was designed by chiangmai life architects (CLA), a firm who specializes in bamboo and earth architecture. 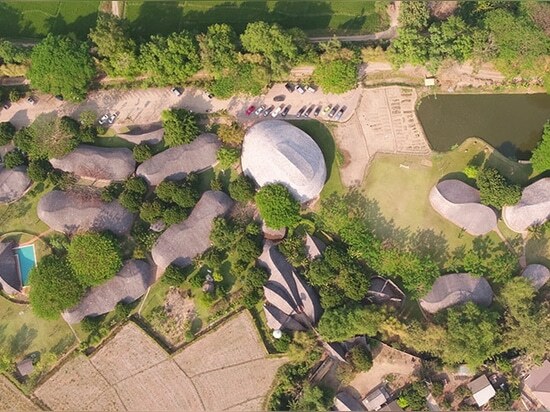 the building is expected to last for at least 50 years. 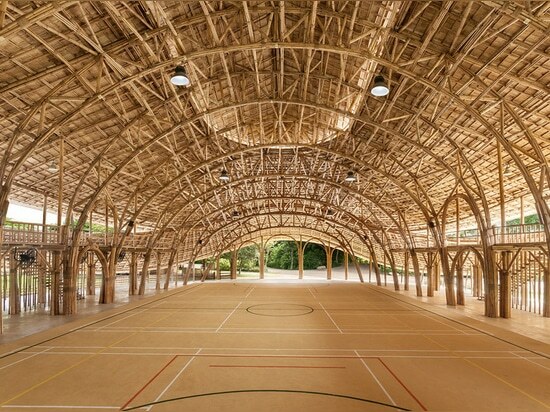 covering a total area of 782 square meters (8,417 sqf), the completed structure hosts basketball and futsal, and can also accommodate volleyball and badminton courts. 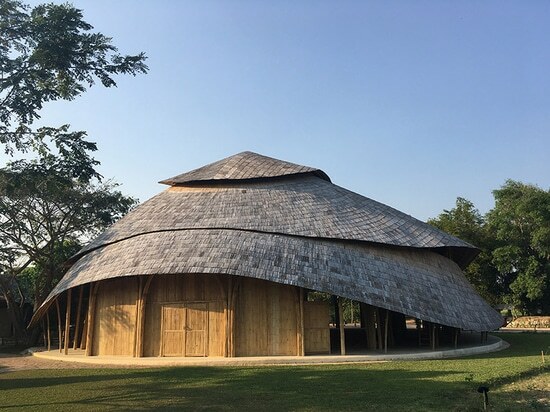 storage facilities are positioned behind a stage that can be lifted automatically, while elevated balconies provide space for parents and other visitors to watch the hall’s various events. 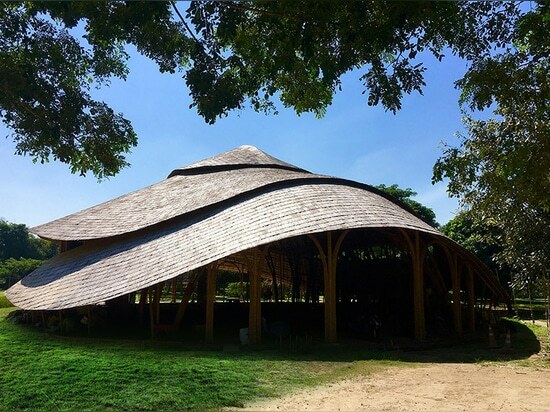 natural ventilation and insulation ensure that the space remains cool throughout the year, while the exposed bamboo offers an aesthetically pleasing structural presence. with the help of two independent engineers, the sports hall was designed to withstand high-speed winds, earthquakes, and other natural forces common to the region. 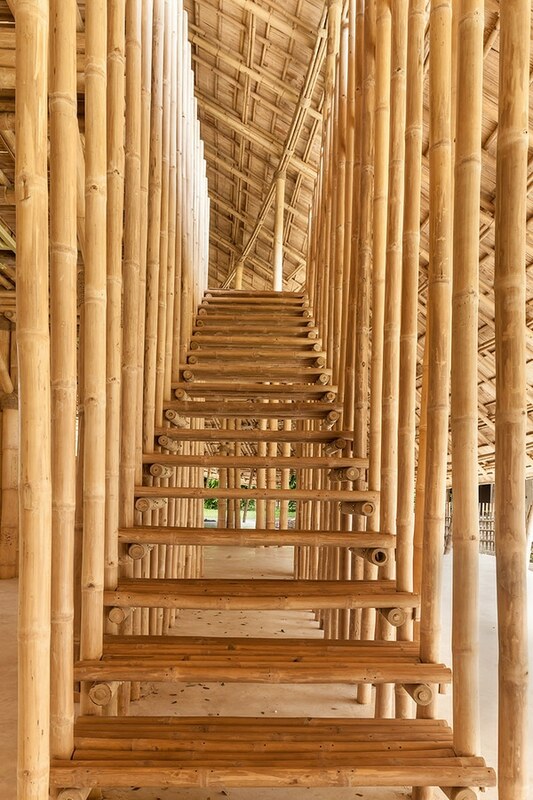 newly developed bamboo trusses, that allow spans of more than 17 meters, were assembled on site before being lifted into position with the help of a crane. 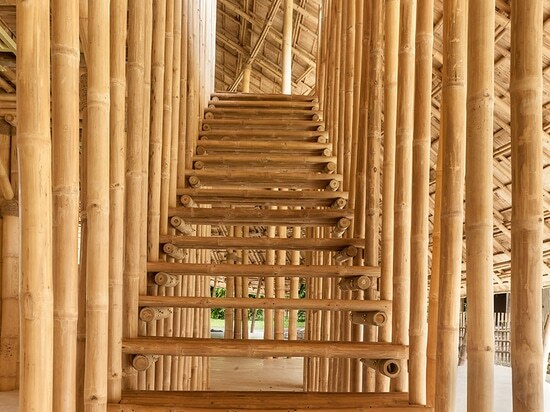 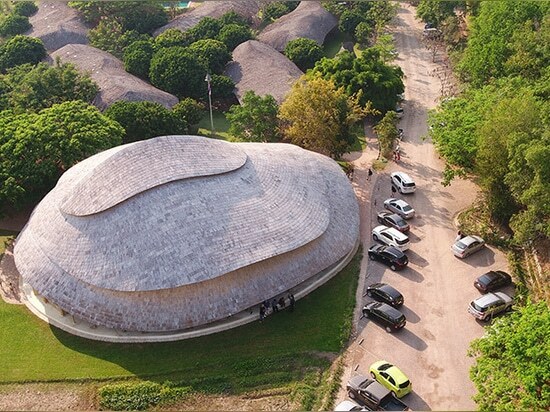 as the bamboo used absorbed carbon to a much higher extent than the carbon emitted during treatment, transport, and construction, the project has a zero carbon footprint.